Notes: This was a week of two extremes in terms of weather, with cold rain on Saturday and Sunday that impeded banding, some warmer rain on Monday, and then four hot and sunny days with high temperatures up to 10 degrees Celsius above normal (with nightly lows often close to usual high temperatures! Accompanying the warm weather were persistent (although generally slight) south winds – just the opposite of what we would normally expect to bring migrants into MBO in fall. Despite that, we banded considerably more birds this week (297) than in any previous week this fall – reflecting the degree to which migration marches along to some extent regardless of weather! However, that number remains fairly modest compared to recent years, and the season total to date is the lowest since 2009. The effects of weather were perhaps more evident in the number of species observed, with many mid-season migrants not yet arriving – the 70 species observed over the past 7 days was fewer than in any previous week 7. 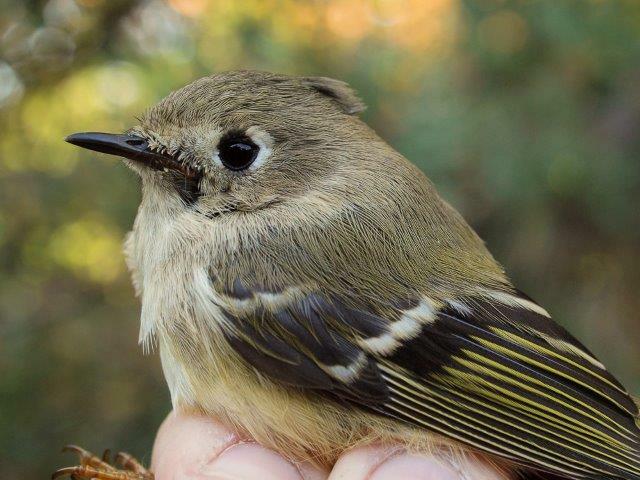 Four mid-season migrants were banded for the first time this fall (Brown Creeper, Ruby-crowned Kinglet, Gray-cheeked Thrush, and Western Palm Warbler), while we also got our overdue Philadelphia Vireo. Meanwhile, we added two species to our list of birds observed this year (Greater Yellowlegs and Northern Mockingbird), and five more for this fall (Golden-crowned Kinglet, Gray-cheeked Thrush, American Pipit, Western Palm Warbler, and Rusty Blackbird). September 15 was particularly productive, with three of the five species banded, and four of the seven species observed. September 18 was also notable, with the mockingbird (only the sixth in MBO’s history) being observed concurrently with multiple Brown Thrashers and Gray Catbirds, and chasing our first Rusty Blackbird of the fall from branch to branch. Magnolia Warbler was the top species banded this week, with nearly 50% more than the runner-up, Swainson’s Thrush, in a reversal of last week’s top two. 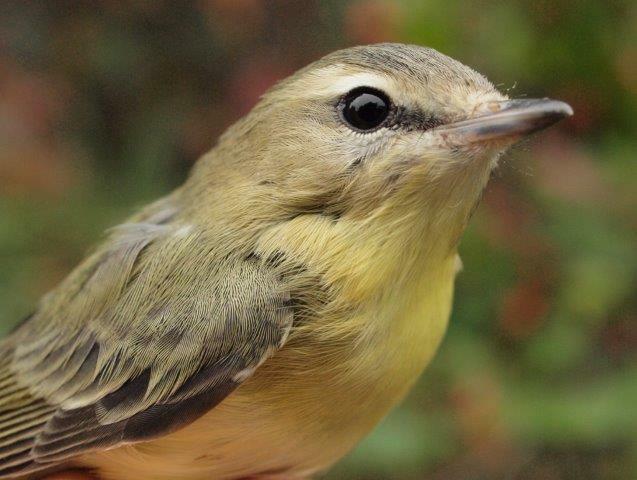 This is the fifth time in the past six years that Magnolia Warbler was the top species in week 7, and the 60 individuals banded is well above the ten-year mean of 44 for week 7. However, the season total to date of 134 remains unusually low; perhaps migration is simply late this year due to the persistent warm weather, and more are on their way next week. 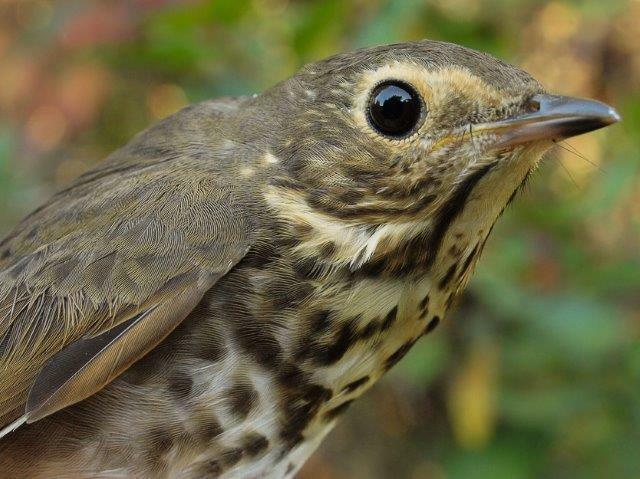 The number of Swainson’s Thrushes banded this week was more than in any previous full fall season except 2012 and 2014, although not as many as in week 7 of 2012 when we banded a single-week record of 66; this year’s season total to date is exactly 100. Week 7 is past the usual peak of fall migration for Tennessee Warbler, but this was the most productive week of the season so far, and the second highest week 7 total for the species in 11 years of monitoring. Red-eyed Vireo numbers remained strong for a third consecutive week, while White-throated Sparrows are starting to build in advance of their traditional late September to early October peak. With another dozen Ovenbirds banded this week, it is one of three species already setting a new fall season record this year, with a total of 58; the others are Brown Thrasher (12) and Veery (34). Common Yellowthroat and American Redstart numbers are starting to taper off more, but still going strong for the date. Among the five species tied for ninth place this week were two mid-season species starting to arrive (Ruby-crowned Kinglet and Western Palm Warbler), two local/migrant species continuing in modest numbers (Gray Catbird and Song Sparrow), and Nashville Warbler. Although migration has been inhibited to some extent by the ongoing above-seasonal temperatures and south winds, we nonetheless saw a fair amount of turnover this week among the top ten species observed, with four new species entering the list, displacing Gray Catbird, Common Yellowthroat, Red-winged Blackbird, and Common Grackle. American Crow remained the top species for a second straight week, despite tying the record low daily mean count for week 7 set in 2009 and 2012. Similarly, American Goldfinch was the runner-up despite somewhat below average numbers compared to previous years. White-throated Sparrows have sometimes also been more numerous in week 7, but the past two years they were not even among the top ten; given that migration overall seems a bit late this fall, the numbers this week already may suggest a large movement ahead. Magnolia Warblers have been in below average numbers so far this fall, but for week 7, this year’s mean daily count is actually second to only the numbers observed in 2013. Blue Jay migration remained solid throughout the week, and we again had a good number of Broad-winged Hawks, including a lovely kettle of them wheeling in the sky on the last day of the week, mixed with Red-tailed and Red-shouldered Hawks as well as several Northern Harriers for comparison. Swainson’s Thrushes seemed to be everywhere this week, as reflected in the banding counts too; this was only the second time in 11 years that they have cracked the top ten for observations. Cedar Waxwings were irregular this week, as they have been for much of the season, but there were enough on some days to squeak into the top ten for the week.